Hall-effect device iC-MZ is a differential magnetic sensor used to scan pole wheels or ferromagnetic gear wheels. It contains two Hall sensors set 2.0 mm apart, a differential amplifier with a back-end comparator and a complementary line driver. 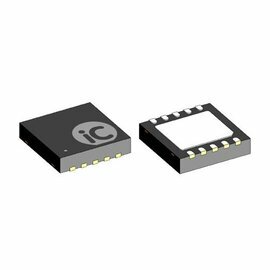 A difference in field strength of the magnetic normal components at iC-MZ's two Hall elements is amplified and evaluated as an analog signal and fed to the integrated line drivers as a complementary digital signal.